When was the last time an African film struck you? Would that film fall into your top ten African Films? Are you even able to remember that list? Considering how great a role film plays in our lives today, you should definitely know more about African films. Let me help you by revisiting one of the first by the father of African cinema: Ousmane Sembène. Borom Sarret (1963) is Sembène’s first production and widely regarded as the first film by an African. However, it was not as memorable nor did it have a cultural ripple like his second film La Noire de… (1966) which became the first Sub-Saharan African feature film to receive international attention and win awards. “Black Girl” as it is known in English, was also the first to have an African woman in a lead role. To appreciate how groundbreaking this was, one must bear in mind that the film came out in 1966 – the African continent was still in the grasp of colonialism and the film industry was non-existent. Yet this maverick filmmaker chose to tell this post-colonial African story on the continent’s heritage and its tango with Europe from the perspective of Diouana played by Mbissine Thérèse Diop. Eventually, Ousmane Sembène became known as the father of African cinema; a man clearly ahead of his time. I chanced upon “Black Girl” after a documentary by Samba Gadjigo and Jason Silverman sparked renewed interest in the legendary filmmaker’s life, career and works. I knew Sembène to be a prolific writer through his book God’s Bits of Wood, yet I hadn’t the slightest idea of his critical, provocative and influential films that peaked in the souls of Africans after colonialism. They highlighted issues of poverty, religion, politics, race, identity, the black bourgeoisie and cultural practices all of which, even today, continue to shape our existence and ability to function as part of the world. Reviews of the documentary point to the sheer artistic brilliance this man had, yet I knew more about Quentin Tarantino than I did him. Don’t get me wrong, Tarantino makes great films; they’re just not about me. Where was Sembène in my world and why had his legacy vanished? I set off on a path to discover Sembène. Luckily for me Black Girl is available for free on YouTube. 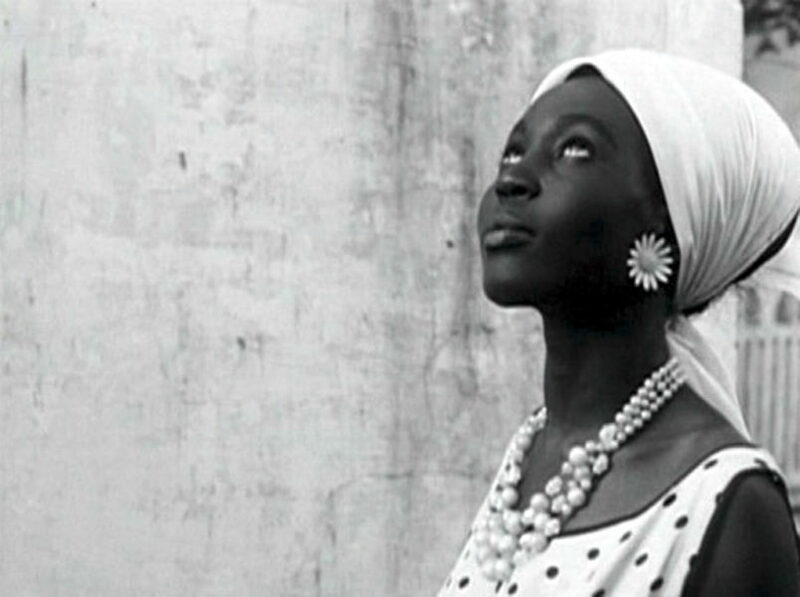 Black Girl was Sembène’s first taste of international success. The 65-minute film was his first full feature film to receive international recognition and led to the French inviting him to join the jury at the 1967 Cannes Film Festival. 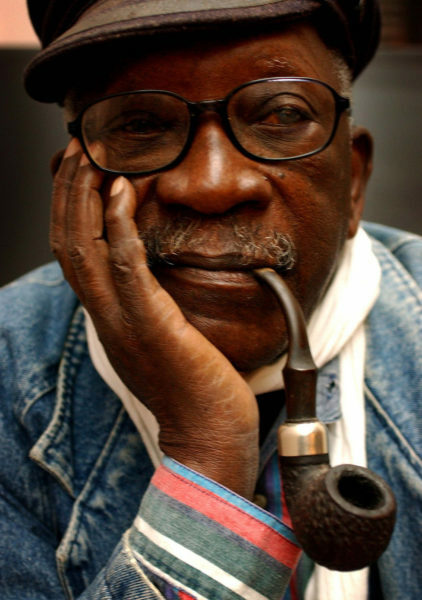 In the film, Sembène employs some unorthodox writing and directing techniques which, considering he was an autodidact, appear normal today given his practical approach to learning and problem solving. This is where his quest to make films, tell, and preserve African stories in a new dimension started. La Noire de…, as it is originally titled, is about Diouana, a young Senegalese girl trying to survive in post-colonial Senegal, but regarding France as her only salvation. Supposedly inspired by a true story, the film was shot in both France and Senegal and features a small cast of African and European actors. The fact that Sembène decides to leave Diouana’s French employers unnamed has a very symbolic effect. The film relies on flashback, compelling cinematic silence and off-screen narrations to link the back-story of Diouana’s life to her eventual tragic demise as the couple’s house cleaner. Through her monologues and reflections about home and abroad, the viewer gets to understand the young woman’s uncanny and unapologetic drive to survive and maintain her humanity through her identity. Together with minimalist, traditional Senegalese music and simplistic experiments with the camera, Sembène takes us through the subconscious of the post-colonial African and examines how the decolonization process slowly evolved. Identity is the main thematic thread that makes Diouana’s story not just sympathetic but powerful enough to resonate close to half a century after its initial screening. The concept also explores questions of one’s humanity. While the African’s uniqueness has never been questionable; how its identity (or identities) relates to the rest of the world often seems unsettling. 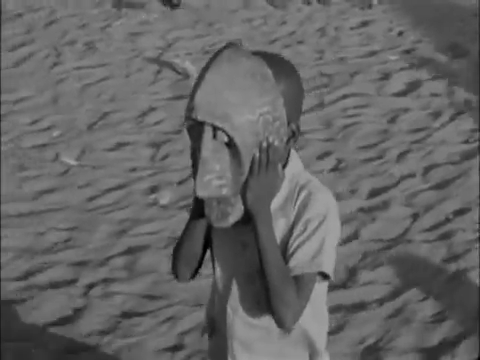 In the film, Sembène probes this complex issue through the symbolism of a wooden mask. This mask, initially in the possession of a young boy in Dakar, is central to the statement the film makes on identity. Together with a profound use of silence, the mask illustrates the various positions Diouana and the couple take in respect to colonialism. It begins as a gift from Diouana to her new employers, where it takes up spaces with other masks in their Dakar apartment. However, when they move to Antibes in France, it hangs alone on a white wall, very much like the main character following her disillusionment with French life. The mask also becomes a tension between Madame and Diouana when the latter’s silence and unhappiness reaches a tipping point. Diouana wants the mask because it is hers and reminds her of her African identity. Madame also wants to hold on to it because she feels entitled to it – a scene all too familiar in the history of colonialism. In the end, the mask is returned to Diouana’s family and the boy who first owned it puts it on and chases Monsieur out of town. This closing scene is very powerful and represents Sembène’s take on the new African mind-set towards the European and his African identity. The mask as a symbol of travel and the defiance of the African identity is the spine of Sembène’s graphic film that critiques the realism of African representation. The success of Black Girl allowed Sembène to create more freely and fulfil his radical, unrelenting desire to tell the African story. With over 11 controversial and provocative films, mostly in Wolof and French, Sembène’s cultural and artistic impact cannot be understated. 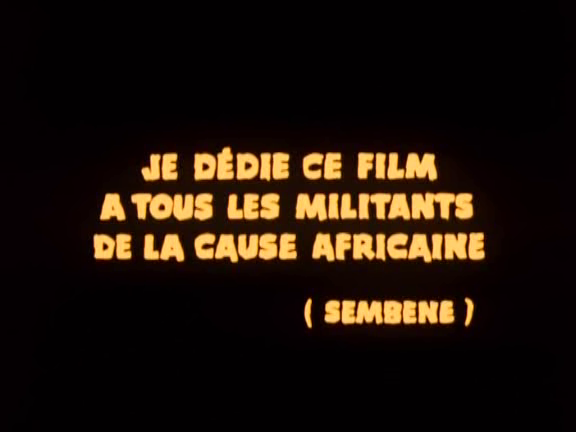 For Sembène, language was very critical as is obvious from his “rebel trilogy”: Emitai (1972) on political corruption; Xala (1975) which saw him mock the politicians of his time as puppets of Europe, including the very famous and respected Leopold Senghor, and Ceddo (1977) which probed Islam deeply as a colonizing force and was promptly banned, bringing him a lot of political trouble in Senegal and across West Africa. Similarly, his last film Moolaade (2004) received much backlash after vehemently attacking the malicious practice of female genital mutilation. Sembène sought to spark social change by placing the mirror in front of himself and society to expose the various maladies that plague us. His unorthodox and fearless filmmaking eventually made him unpopular among his own people and it would be late in life that he would again find acclaim outside Africa. Despite his brilliance in identifying cinema as the future of storytelling and having the foresight to use that to help his people, Sembène has been forgotten, resting in his grave, while his work was rotting away until Gadjigo and Silverman revived it with the documentary, aptly titled ‘Sembène!’. Today’s African filmmaking climate is very different. While Nollywood, the Nigerian film industry, is the second largest in the world, the quality or reach of African film does not match that of the million-dollar Hollywood film industry. With the exception of a few gems, the material being churned out is consistently finding new ways to remain poor. Despite the hard work of filmmakers like Sembène and Kwaw Ansah, the future of Africa’s film industry does not appear to be as bright as it should be. This problem may be linked to the obsession with speed – making films just because they can be made. It is estimated that Nollywood produces about 50 full-length films a week without paying attention to the quality of the material. The filmmaking scene has been excessively commodified, watering down the art completely. There is so much money in film, television, and media, and everyone wants a bite. Despite the obscene mediocrity in the African film industry, budding directors and screenwriters that tell nuanced stories from fresh perspectives on overlooked subjects are producing many independent films and documentaries. There is a lot of brilliant work out there but these films tend to suffer from another problem: access. They are more likely to be screened outside Africa than on the continent where they are made and on which they focus. With the popularity of online streaming services like iROKOtv and the recent expansion of Netflix into 30 African countries, more Africa-made films should be available to Africans and the world in general. That said, internet accessibility and affordability remains a challenge for many on the continent. Art festivals like the Chale Wote Street Arts Festival, the Durban International Film Festival and the Encounters Documentary Film Festival are usually the only avenues for bringing brilliant films like Hajooj Kuka’s Beats of Antonov or Michel Zongo’s The Siren of Faso Fani to African audiences. How we address these issues will spell either the end or the dawn of an era of African cinema. So where does this leave the indie filmmaker, his experimental film and the interested viewer ? As Sembène’s legacy shows, films are a powerful way of inciting social change, creating awareness for marginalised groups, and correcting misrepresentation. Unfortunately, the responsibility for making sure films address these problems of representation and to a larger extent, access, falls on the filmmakers. Some of that responsibility should come to the viewer who should seek to buy and appreciate art. There may be no immediate or simple solution to getting more Africans to watch films made by the continent’s citizens; but producing them is a step in the right direction. Written by Hakeem Adam, edited by Jemila Abdulai. Circumspecte offers insights and perspectives on business, development, lifestyle, culture, careers and human interest issues related to Africa and Africans. Also, modern filmmakers ‘ignore’ the artistic portrayal of distinct African culture. It’s sometimes offensive to see a Ghanaian movie with characters dressing and speak like Nigerians. You make a valid point Swaye, funding probably plays a big role in all of this. Thanks for sharing! The issue of poor-quality African films is very worrisome. I wanted to watch Yoruba films on YouTube to improve my Yoruba communication skills but I realised that the quality was not up to standard and that affected how much I enjoyed the films. Thanks for sharing. I’ve watched one or two Yoruba films (English subtitles) on YouTube, and really enjoyed them. That said, film quality is a big issue, although we have seen marked improvements in Ghana (national films). With regards to the local film industry in cities like Kumasi or Tamale, there seems to be an investment issue as they generally don’t make it onto the national scene. It will be interesting to see how things change as people have access to better technology and interest in the creative industries grows.